Araya XLIFF Editor Heartsome Europe GmbH operates mainly in three branches: the branch translation technology develops and markets poducts for optimising the translation process (more information under Products). The branch tourism mainly deals with consultancy fpr tourist organisation and companies in the area of eTourism and eMarketing. The branch Mobile Computing, Smart Home and AAL develops Apps for different platforms like Android, iOS or Tizen. Research and development within this area topics like AAL (Ambient Assited Living), using mobile technologies in the domain of haus automation is done. Customers Vega, Ziehl-Abbegg or EDQM use Araya translation tools successfully for optimising their translation process. Based on his experiences in the translation and localisation area Dr. Waldhör developed Araya. This tool is constructed in a modular way and consists of several components, which are based on standards like TMX, XLIFF or TBX. Cernel applications of Araya are a Translation Memory System, which supports different SQL databases, various converters and a phrase translator combined with an easy to use translation editor. The Araya server and editors are built in a very modular way and support different components based on standards like TMX, XLIFF or TBX. Araya is written in Java and therefore easily adoptable to various platforms, which support Java and swt. Araya is adapted to the needs of the client in most cases in order to achieve an optimal solution. Changes can be easily done due to the modular tool design. More information can be found here: Araya - the cost-efficient and powerfull translation support system. Since 2004 Dr. Waldhör is active in the area of tourism, esp. in eTourism. His experiences come from his job as director and scientific manager of Krems Research. He researched and developed systems for analysing the social web (blogs, evaluations forums etc.) and recommendation systems (e.g. for recommending hotels in a destination). But also applying language and speech technology was a kernel topic. He won the prestigious Voice Award 2007 with the project "OrangeLine" for the best German speech application. He also developed concepts for the hotel room of the future which resulted in the implementation of the Future Hotelroom Lab in Krems. Heartsome Europe GmbH was founded 2002. Founder and director, Dr. Klemens Waldhör, is familiar with translation technology since a long time. His experiences stem from his time in the research labs of TA Triumph Adler and as founder and director of EP Electronic Publish Partners GmbH. Under his guidance the translation support system EURAMIS was developed for the translation service of the European Commission. Later this development was used by Sun Microsystem as SunTrans. 30.09.2014: Android Apps for TI Sensor Tag and for Android Wear devices. Both apps support reading and storing sensor data. 10.06.2013: Presentation "Recommender Systems as part of Localization Project Management with XLIFF" given at FEISGILTT 2013, 11 June 2013, London, GB online! 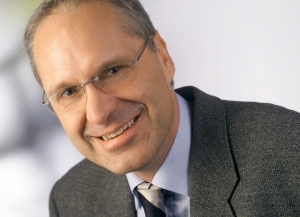 03/17/2011 : Dr. Waldhör becomes member of the "Standards Advisory Board" of the TAUS Initiative "Interoperability watchdog ": Within localization standardization plays a key role through exchange formats such as TMX or XLIFF. These standards were created to allow translators and translation service providers, their customers on the one hand and translation tool vendors on the other hand to switch between translation tools (in theory) and enable seamless integration and interchangeability of information. Reality shows that these standards are indeed supported by many tool vendors, but often only half-heartedly by a very special form of interpreting standards. This aspect was also discussed intensively at the last LISA conference in Boston (early March 2011). With the collapse of LISA this important role as a driver for standardization diminishes. TAUS has now created the initiative "Interoperability watchdog" for the coordination and support of the development of these standards and "real interchangeability". Dr. Waldhör is a member of "Standards Advisory Board" in this initiative. Dr. Waldhör: "I am convinced that it is possible to further develop those standards with this initiative for the benefit of all stakeholders in the localization industry, and also to implement the standards in a way that the exchange between different tools will be easier." Dr. Waldhör has developed a base architecture of the open source system openTMS that follows these principles using those standards consequently. This commitment is now further deepened by participating in "interoperability watchdog". 07.03.2011: Current state of openTMS: Newabout openTMS can be found here openTMS Webseite, esp. a presentation about the current state. 05.11.2010: Araya as Authoring Memory: Araya cannot only be used as classic translation memory; used as an Authoring Memory it helps to keep segments, paragraphs and documents consistent. 05.12.2009:New: Through the intergration of openTMS it is now possible to extract terms from all data sources supported by openTMS. For example from Xliff files. See also Article in German: Extending an SWT application with openTMS functionaliyt - Part 1 and Article in German: Extending an SWT application with openTMS functionaliyt - Part 2. 26.11.2009:New: You can now download a test version of the Araya Bilingual Term Extraction Tool. The main restriction compared to the full version is that only 20 term pairs will be extracted. With the bilingual term extraction tool of Araya you can run your own bilingual term extraction in an cost effective way. Based on an easy to use graphical user interface you can extract bilingual terminology from a TMX file and edit the found the term pairs. 11.11.2009: After TEKOM 2009: At the TEKOM Dr. Waldhör presented the latest developments of openTMS at the booth of beo/Acolada. He showed a prototype of the new Open Source XLIFF Editor docliff. This editor will be made available soon. The newest versions of openTMS can be downloaded from openTMS Website or here: openTMS Server with Data Source Editor. The Araya Xliff Editor can be found here: Araya XLIFF Editor. 22.02.2009: OpenTMS: The free version of the Araya XLIFF Editors contains now a first version of the OpenTMS Initiative translation tools. It supports translating XLIFF documents with TMX or other translated XLIFF documents. Dr. Waldhör develops currently the kernel of the OpenTMS Translation Memory. For testing purposes the free version of the Araya XLIFF Editor can be used. Here you can download the free version of the Araya XLIFF Editor. 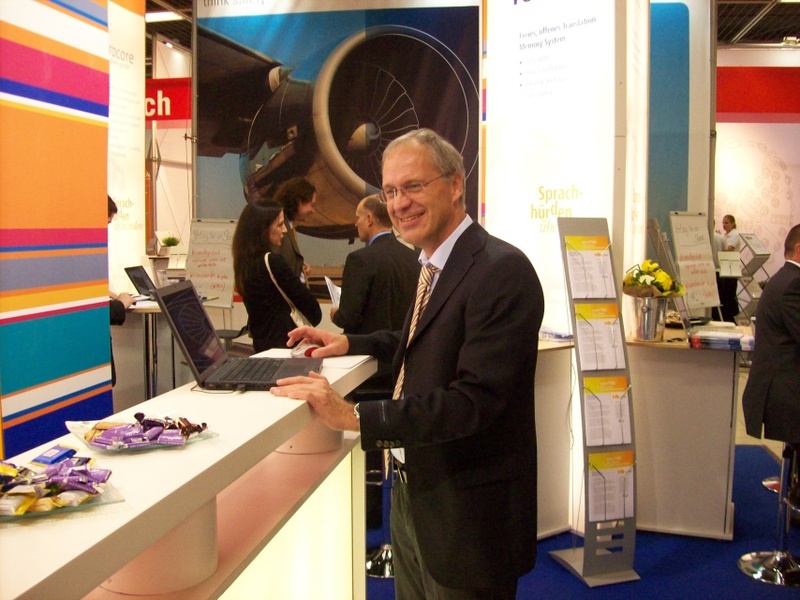 05.11.2008 - 07.11.2008: TEKOM: Dr. Waldhör has given many presentations on the OpenTMS prototype at the booth of Acolada/Beo/euroscript/Mai/... and explained the architecture of this open source TM system. The visitors were very impressed. Dr. Waldhör implemented the XML-RPC based server backend. The backend itself uses the successful Araya server to run the translation requests. The implementation is quite generic so that other TMS systems can be attached to the system too. 14.09.2008: WinWord and OpenOffice Support: Araya version 14.10 supports now the follwoing document formats: WinWord (doc, docx) as well as Open Office. 06.09.2008: FOLT - OpenTMS Architecture: Dr. Waldhör has developed a first architecture proposal for FOLT for the OpenTMS system which is currently under development. The design will be presented at the next FOLT meeting - 17.09.2008 in Böblingen. Goals of FOLT taken from the FOLT Website: "Forum Open Language Tools (FOLT) is a forum and working group of service providers in the field of translation and documentation. Basic objectives of FOLT are the support of standardised exchange formats, non-proprietary software and trialling new translation technologies and methods. We are concerned with the overall workflow of multi-lingual documentation. From generation of the original text to production of texts in the target languages, highlighting any defects or lack of standards in the processes. " More can be found here: FOLT. 31.08.2008: Araya - New Features for the XLIFF Editor 14.06: XLIFF-Editor now supports sending the currently loaded XLIFF file directly via e-mail. HTML preview is improved and XSLT based HTML preview supported too. This allows to view the pre-translated document in a similar way as the final document. July 2008: New branch tourism marketing. Heartsome now also offers consultancy in the area of tourism, esp. eTourism, based on the experiences of Dr. Waldhör. December 2007: The Araya Web Server allows to query TMX databases from web browsers. More information can be found here: Araya Web Server. January 2008: Araya tools are now also available as Mac Versions.